On 16 December 2014 under blue skies and a hot sun we climbed up the popular Roys peak walking track overlooking Wanaka. I’d just returned after a few days vol bivouac in the hills, happily meeting with my girlfriend Kamila and my xalps supporter Louis Tapper. The weather was still good so we set out to make the most of it, and I flew further than I ever have in New Zealand, breaking the national triangle and out and return distance records, amongst the spectacular scenery alongside Aspiring National Park. Normally I like to post things in chronological order but my backlog goes to Kyrgyzstan so I have to skip ahead to keep up. As Louis continued to analyse the weather I reiterated to Kamila that it wasn’t just me that kept changing the plan. In the end Louis suggested a triangle in the Shotover catchment, I was keen on the idea but in general pretty satisfied with the epic flights of the last few days. Bryan Moore wondered if we’d still be at his place when he and Kat returned from work but we got onto the road and headed to nearby Roys Peak. 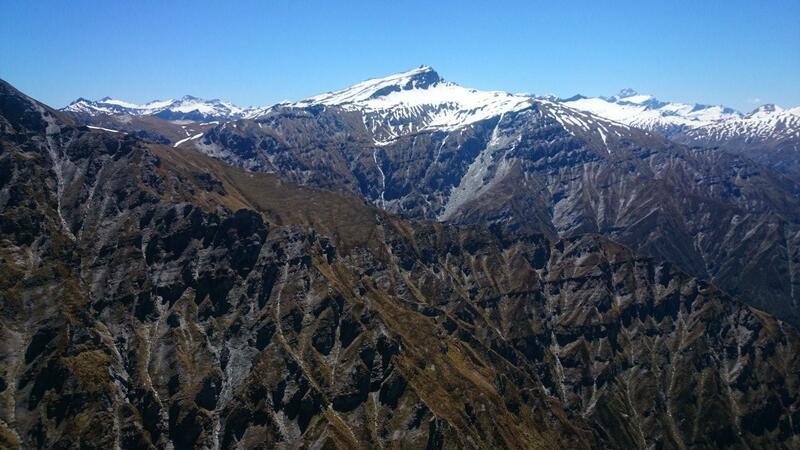 Roys Peak is a strategic place to start, and the intention was to fly northwest toward Shotover Saddle or beyond, south towards Queenstown (minding the airspace) and then glide toward western faces to complete the triangle. It was hot walking under the full sun but being on the sunny face we could feel when the thermals started working. Clouds were building slowly to the east in the forecasted convergence but where we were it was blue. We launched before reaching the summit and about half an hour after it felt soarable. Climbing above Roys Peak it’s a nice glide to the pyramid at Treble cone, with the advantage that if you don’t manage to get up again you are at a popular flying site with an easy ride up the hill. There was no need for that however as we joined at least half a dozen other pilots. 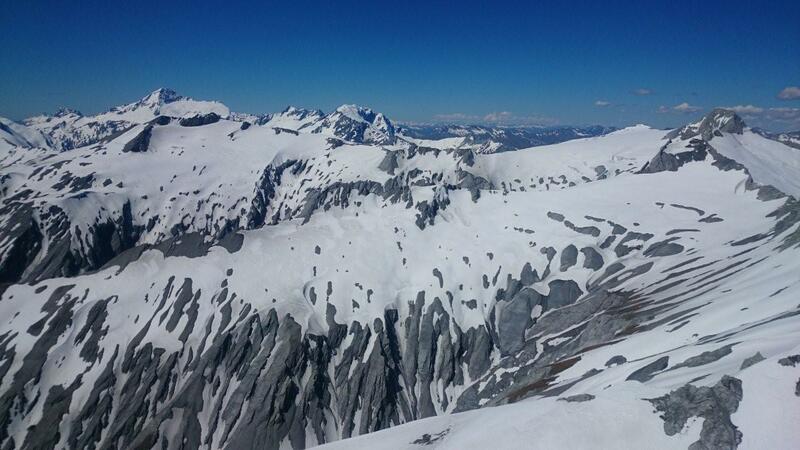 Most pilots were trying to get high and fly back to Wanaka. There was a little norwesterly about. I tried getting high but soon enough decided that required too much patience and I pushed up the Matukituki valley trying to round the corner to sunnier faces. If I wasn’t going up fast I was pushing ahead. I got a 50% collapse rising rapidly by the Niger cliffs and ridge soared to the top of Fog Peak where I connected to a thermal and climbed to 9000 feet. From here I tried something which I didn’t think would work. I pushed a sinky headwind glide to the leeside corner of Glengyle. I think it’s healthy to try new things and explore when you have the performance and confidence to get away with it. In the end as expected there was no pleasant surprise and I peeled back to the Shotover side of the valley and easily regained my height. Still without a vario I love flying low and fast since topping out high in weak or broken lift is not quite so easy. I soared up the ridge in front of snowy Mt Tyndall and connected a few turns in the thermal convergence at the spur. But before getting too high I slid off and glided at close range over the snowfields, crossing a few high cols, which was really awesome and a highlight of the flight. The air was smooth and I even thought I might get some ridge lift. On Headlong Peak at summit height a sailplane joined me. I got excited about taking a photo until I realised that while fumbling about it had already outclimbed me and I’d gone nowhere. I decided to pretend I wasn’t trying and I glided downwind to Cleft peak on the northern end of the Richardson range. Here I still didn’t manage to get a climb so I continued further downwind and went through a rough patch of air before connecting with a good climb low down between the main Richardson range and the front sunny spurs. This took me to over 10,000 feet. Unfortunately I had to lose this height as south of me was 9500′ airspace. Of course everything was going off, until once in the airspace (with a safe height buffer above me) I found myself again too low and finally had to admit defeat, turning to get some extra height to glide past one of the mountains. Still I turned my nose up at most lift and arrived at Mt Larkins below summit height where I needed to top up. On the final leg of the triangle now, ahead of me were big clouds taking no heed of airspace. I flew with speed bar and finally tried big ears which for me is a desperate manouvre. Once I thought I was clear of the strong lift from the cloud over Mt Aurum, I was propelled up and I pulled big ears bigger and inadvertently did a 180 degree turn in the lift! Very annoying and something I’ll have to practice. The flapping wingtips had made themselves into knots during big ears which remained on my right wingtip for the rest of the flight. Next I crossed the Shotover river high over Branches station. The views were amazing, craggy cliffs and deep gorges with glaciers on the skyline. In the distance though I could just make out Roys Peak. With northerly drift I got a climb off Church Peak and continued a buoyant glide towards End Peak. I reached End Peak just slightly too low to clear the summit and was flushed off in the northerly. I got some leeside lift off the side which gave me enough height for a horrible 3:1 glide across the Motatapu river. But once I reached the other side the air was sublime and I took soft climbs and glided back to Roys Peak losing only 100 feet. I perhaps could have tried gliding to Mt Maude but it was quite late and there was a car waiting for me, with Kamila and Louis needing a lift. So I did some wingovers with the not so stylish finish of dropping my canopy in a rosehip bush right next to perfect flat grass. Anyway I needed an incentive to get around to that awful job of replacing the lines. In summary it was really satisfying to fly a task and finish it, as opposed to the previous day where I’d sort of bumbled around aimlessly (admittedly in pretty awesome and unfamiliar terrain and interesting air). With this flight I finally linked together the awesome country that I’ve been exploring for years. 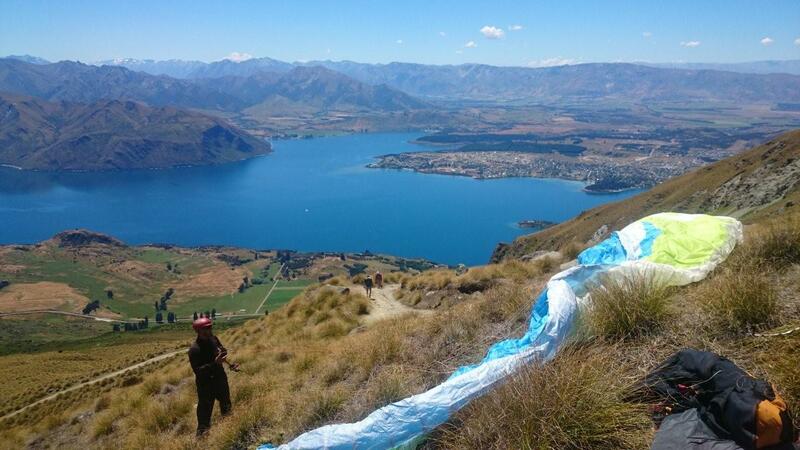 This entry was posted in Uncategorized and tagged New Zealand, paragliding, parapente. Bookmark the permalink.